I found the article below VERY informative. I actually am guilty of clumping TIVO in with other standard DVRs. However, after reading this article, I have a new found respect and appreciation for TIVO and their innovative products! These days, TiVo has become a generic term for any DVR on the market, and for good reason. They paved the way for the rest of the industry, innovating unique features like trick play and pausing live TV. Similar to other innovators and leaders in their respective industries such as Xerox or Kleenex, TiVo has been adopted into the American lexicon. But just because someone may call any DVR a TiVo, it doesn't mean that there isn't a long way to go before it could even come close to the real thing. You see, while cable and satellite providers have been satisfied to only provide their customers with the rudimentary features that TiVo perfected eight years ago, TiVo themselves have never stopped innovating. Aside from simply recording programs you want to watch --which, as far as I'm concerned, TiVo does better than anybody using Wishlists, Swivel Search and Suggestions-- there are many other features on a TiVo that generic DVRs simply don't have, and probably never will. Sure, you can watch Pay-Per-View on a cable DVR, but how many allow you to rent movies from the extensive Amazon Unbox library? None. Or how about: playing your MP3 collection, browsing through photos or watching web videos? TiVo has really made strides in not only being the best DVR on the market, but also becoming the focal point of your home media center by bringing everything together. As more and more people jump on to the internet broadband-wagon, it only makes sense that manufacturers who want to stay ahead of the curve will take advantage of the available bandwidth to offer up more media content for their users. This is an on-demand video rental service that has been available on the PC for some time now, and on stand-alone TiVo units for about a year. The selection is almost always better than Pay-per-view, and in many cases cheaper too. And here's something you can't do with Pay-per-view: Purchase the movie to own it indefinitely. DirecTV recently announced that it is putting strict limits on recording Pay-per-view content with DVRs. So even though you may have paid for it, you will never own it using their system. Not only does the service have movies, but it has a wide variety of TV shows as well. This can come in handy when you've discovered a show that has been on the air for a while, and want to catch up before you start watching new episodes. The list of available TV content is quite impressive. like Sandisk, Haier or Sony. Don't have or want Rhapsody, but already have your own extensive music collection? Well that's where TiVo Desktop comes in to play. Aside from using TiVo Desktop, you can also connect to online photo albums at either Photobucket or Picasa. Share pictures with friends or family, or simply just browse the vast collection of pictures. Using the OneTrue Media service, you can upload your home movies and publish them to a channel that friends and family can subscribe to using their own TiVo or a PC. Your movies will show up in the Now Playing list for all to enjoy! This is another great feature that I'm sure just doesn't get the attention it deserves. Users can browse through or search for video podcasts and subscribe to them. New "webisodes" will automatically show up in your Now Playing list when they are published online. With such notable content like The Onion and Superdeluxe, you will no doubt find plenty of enjoyable videos from the vast selection available. Viral video in all of it's internet meme glory. TiVo announced earlier this year that it was working with YouTube to bring content directly to your DVR. Feel like watching Chocolate Rain or Numa Numa over and over? Or how about the Bill O'reilly freak out clip? Yes, it will all be here and available for you to watch on the bigscreen. Just don't say we didn't warn you. Today's entertainment landscape is drastically different than it was even just eight years ago. 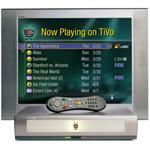 TiVo has done a remarkable job at keeping up with the pace of today's fast moving trends. None of the cable and satellite providers can even come close to the offerings that TiVo has on it's line of next generation DVRs. They have really embraced the internet as a supplementary source of entertainment for it's users, rather than dismissing it as a distraction like the rest. Originally submitted to the DVRupgrade Forums, republished with permission to TechLore.com. Find great deals on original and upgraded DVR's at DVRupgrade.